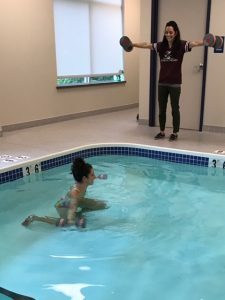 Our Warren office specializes in aquatic therapy and features an onsite, heated, in-ground pool. We have comprehensive, state-of-the-art exercise and rehabilitation equipment to treat any orthopedic disorder. Darbee Harrington, PT, DPT, CCI, Cert. MDT, is a certified McKenzie® Method therapist. McKenzie is designed to treat neck and back pain and sciatica. She has completed additional training in treating running-related injuries. Click here to read Morgan Leichtenberger’s success story at Hertel & Brown in Warren. Monday – Thursday 7 a.m. – 6:30 p.m.